Cox & Kings, one of the leading travel company in India has come with a Super Saver package tour for Ladakh, The Himalayan Desert - Off the Beaten Track which is a 7 days and 6 nights package tour exploring Ladakh. The following article mentions the details of the itinerary, cost and package details for the same. The exclusive 7 nights and 6 days tour package by Cox & Kings is an exclusive package to the Leh, one of the dream destinations in the state of Jammu and Kashmir. 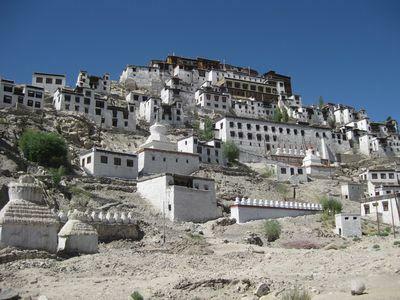 The capital of Ladakh, Leh in Ladakh is an awesome destination with age-old monasteries, picturesque scenery and the magnificent view of Himalayas. This all makes Leh an exclusive destination, ideal to visit during summers. This exotic destination call for adventure sports, ample of sightseeing and more fun than any other travel destinations in India. Cox & Kings is one of the most established travel company that caters to all the travel needs of travelers, including Indian travelers as well as Foreign tourists. Currently the Cox & Kings travel company operates in more than 20 countries and presently has around 12 branch offices in India. The exclusive 7 nights and 6 days tour package for Leh by Cox & Kings covers overall Leh completely with major sightseeing. It also allows to experience the culture and the traditions of Leh by allowing the tourists to indulge more in this Roof of the World. Also enjoy the adventure sports which include Mountaineering, jeep safari, cycling and river rafting. Finally that is what Leh is known for! Today is the day when the journey to this Himalayan Desert begins. You reach the Leh Airport and proceed to the hotel where you relax for the afternoon and then visit the Shanti Stupa in the evening. The morning begins with a visit to the most famous Nubra Valley, one of the highest motorable roads in World. 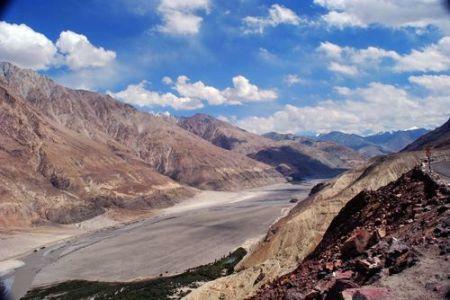 You reach Nubra Valley via Khardungla Pass and enjoy the picturesque location half the day. The you return back to hotel and the rest of the evening indulge yourself in leisure activities. This day you visit the sand dunes at Hunder where you spend the time enjoying the camel rides. From here you proceed next to Samstaling Monastery. Rest of the evening back to the hotel indulging in leisure activities. Today is the day when you drive back on the Khardugla Pass and reach Leh. This is a 120 km drive which is really worth enjoying. The exact time taken for this drive is 5 hours. The evening you visit the Leh Bazaar and buy exclusive souvenirs from Leh. You also get to stroll around to Leh Mosque or Leh Lokhang by foot in the evening. Today is day for full-on excursion, where you first visit the Shey Palace, then the Thiksey Gompa, then the Potala Palace, and finally the Hemis Monastery. The rest of the evening you spend at Shanti Stupa enjoying its panoramic view and amazing architecture. Today you proceed to Pangong Lake, which is around 160 km from the Leh. The Pangong Lake is one of the largest Lake in the Himalayas and around half of this is in Tibet. So the day is spent exploring the crystal clear waters of the Pangong Lake. Evening you return back to Ladakh. This is departure day, where you finally end your memorable journey and bid Leh farewell. Return back your home with some exciting memories of this Himalayan Desert. The Himalayan Desert - Off the Beaten Track thus concludes. - Arrival, departure, Shopping, camel rides, boat rides, laundry, and any other leisure extra activities are your own arrangements. - Bus fare or train fare is excluded from the above mentioned package unless it is been specified so. - Entrance fees as well as guide hiring charges are extra. - 2.58% Govt. Service tax is extra on the above mentioned tour cost. - Please do carry warm clothes. - Its mandatory to carry a photo identity card or Indian National Passport for permit in Khardungla Pass, Nubra Valley and Pangong Lake.